mothers and their families to ensure a network of quality care.  Write regular program reports as required by THPS central office and donors.  Provide technical support to sub grantees. including HIV care and treatment, PMTCT and HIV/AIDS counseling.  Experience in working with community-based PLHIV groups or PLHIV post-test groups. 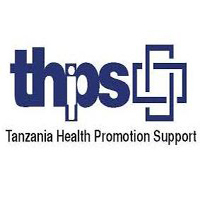  Familiarity with health systems in Zanzibar is highly desired.  Strong supervisory and management skills.  Ability to work independently with strong problem-solving skills. contacted. Please do not attach any certificates when submitting online.